Advent starts in two Sundays. I can't even. This is my absolute favorite season of the Church. I know it's kind of obvious but whatever. Advent is such a joyful time... we're waiting for the birth of a baby! It's so full of anticipation. As a grown up I've really enjoyed really observing the season of Advent in preparation for Christmas and celebrating the Christmas season until the Epiphany long after everyone has ditched the lit up trees. Plus I'm a TOTAL sucker for family traditions-- old ones, new ones-- I'll do it all. Traditions are so rich. We're a young family so I'm sure at least one of them will stick. Especially during Advent, there are just so many ways to get the kids involved and so many opportunities to make memories. It's still November. I know. Yes, I'm eager for Thanksgiving, of course, but I find myself a bit impatient for it to come and go so we can dive into Advent. The Advent wreath is an expected one. I look forward to lighting a new candle every Sunday as a reminder that the big day is getting closer. 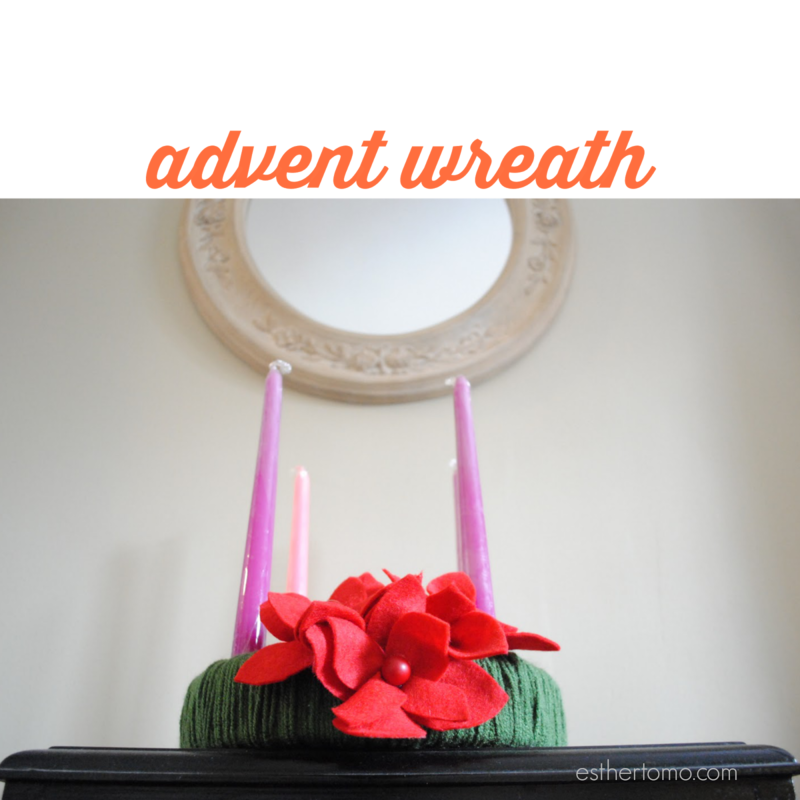 The Advent wreath is an old Catholic tradition and I love passing it on to my kids. 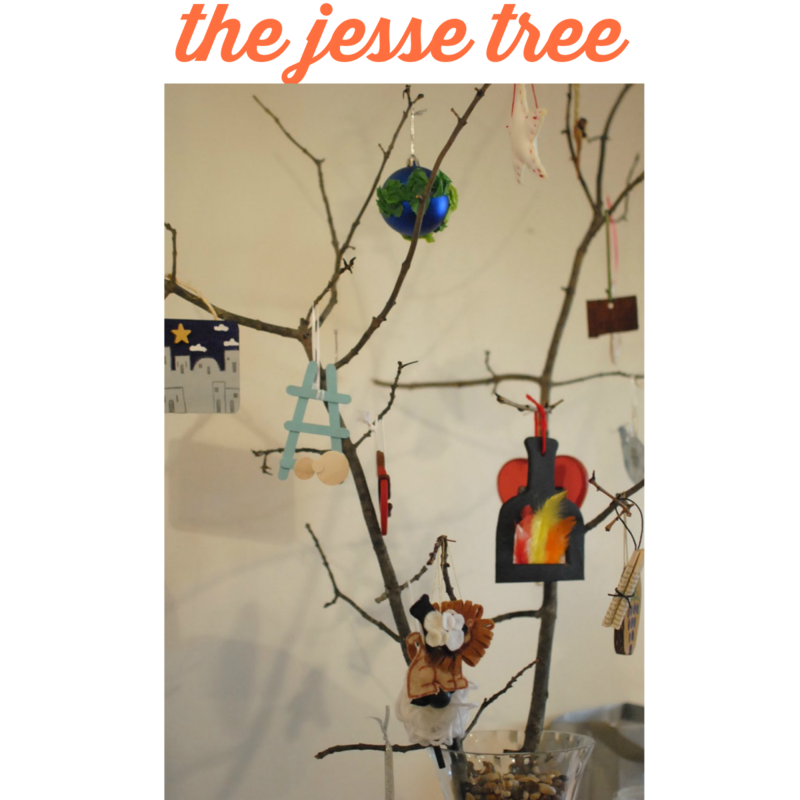 A couple of years ago my friend organized an ornament exchange where a group of 24 women each made different ornaments according to the tradition of the Jesse Tree. Each ornament corresponds with a reading in the Old Testament starting with Adam and Eve and ending with angels proclaiming the birth of Jesus. We begin pulling out ornaments on December 1. I find it so awesome to go back in time and remember how it all ties together. Each day at dinner time we pick out the ornament that belongs to that date and read a bit of scripture and reflection from this devotional book . This kids' Bible is the bomb. We read it regularly at all times of the day and we bring it to Church on Sunday. It has great illustrations, which is a big deal to me. 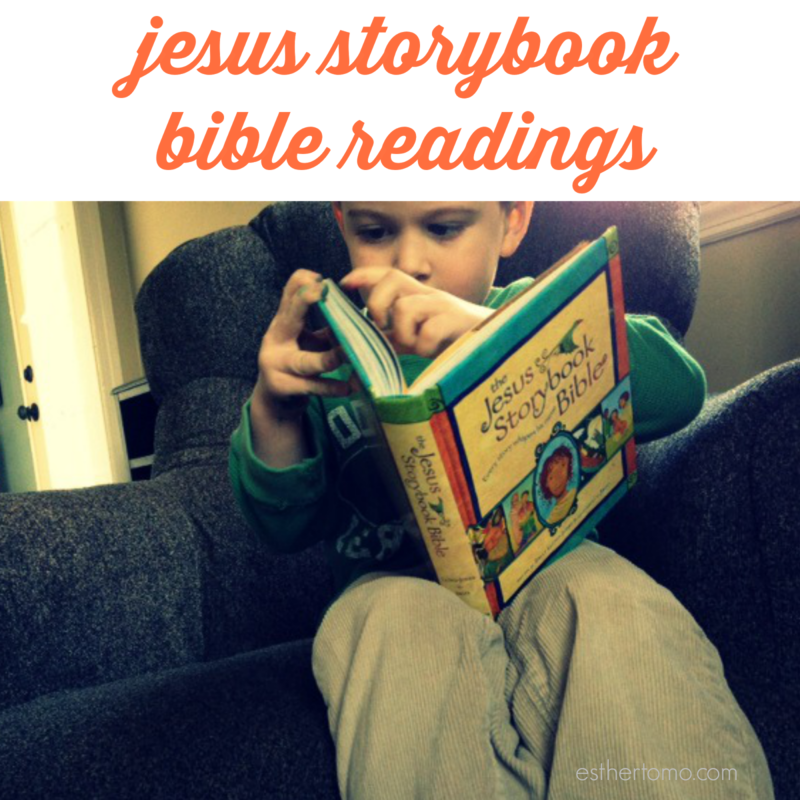 The way it tells Bible stories is engaging to kids but also to adults. Last year we followed an Advent plan of Jesus Story Book Bible Readings. Jake really enjoyed it and I'm looking forward to starting again this year. I've been going back and forth about getting an Elf on the Shelf. I think my kids would be all over the concept but there's a big problem... that thing is creepy. Another issue is that, while we believe in Santa in this house, I try to avoid encouraging a whole culture of Santa-obsession. An elf that reports good behavior to Santa is too much for me. 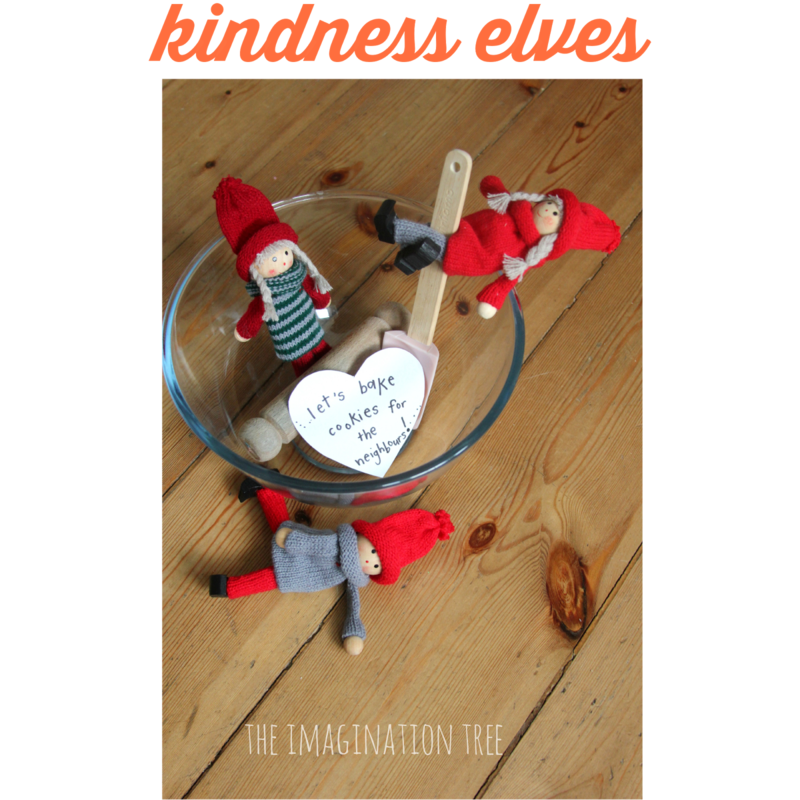 That's why when a friend shared this blog post from The Imagination Tree, the idea of Kindness Elves totally struck a cord. This will be a new addition to our family this year and I'm excited to involve the kids in doing some kind deeds for people we love and hopefully for strangers as well.